Ernest's follows the same calendar as our students, therefore the dining room is closed on weekends, major holidays, and the summer months. Please call for if you need further details. Parking Passes must be requested immediately by emailing twright@nait.ca for DAY parking. Parking is FREE after 5pm in Lot "C". Once all the DAY reserved parking permits stalls are reserved you will have to pay to park. We have a surface lot available to our guests at Lot "C" directly across from the dining room entrance on 118th Avenue. Parking is at a premium during the day, so we do advise an early arrival. Please inform your guests regarding parking permits. There is a Public Transit stop at the corner of 106th Street and 118th Avenue, as well as a Stop at Kingsway Garden Mall. During the school year Ernest's is a venue for a variety of "special events" allowing students to demonstrate creativity while interacting with the community. The Toque Demagny Scholarship Dinner, Young Culinarians Conquering Cancer, Team NAIT and Le club Culinaire fundraisers, etc... provide students with the opportunity to challenge their personal and professional bests. 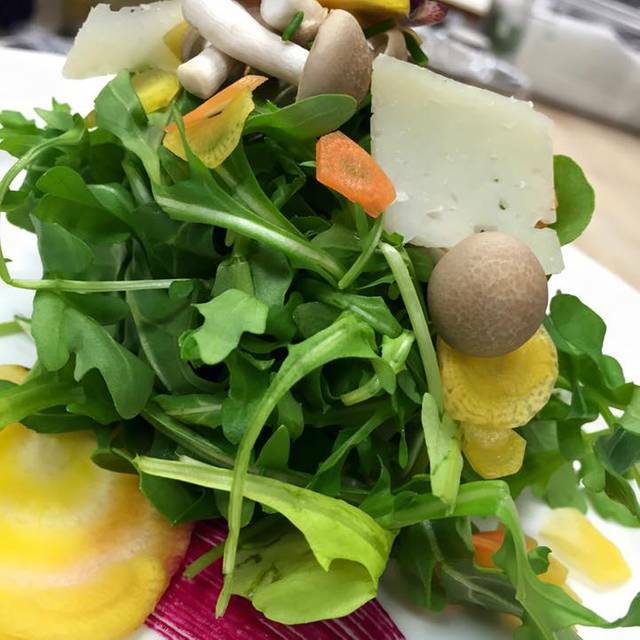 We also feature wine dinners with regional wines paired to perfection with our students culinary creations. 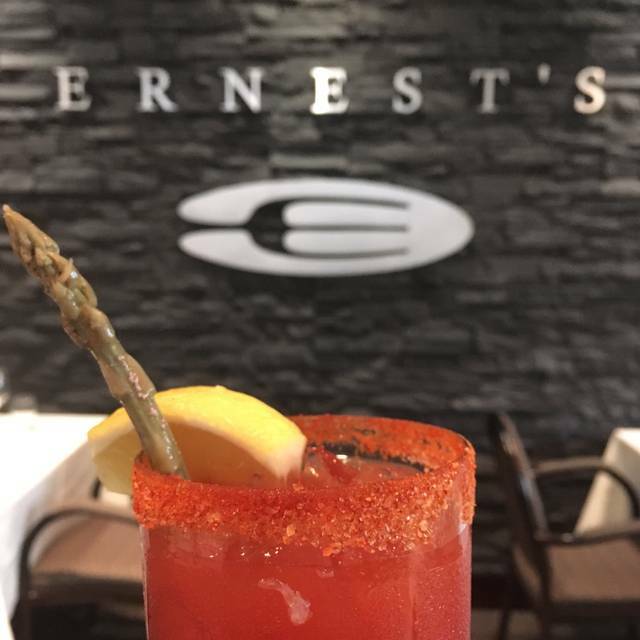 Ernest's follows the same calendar as our students, therefore the dining room is closed on weekends, major holidays, and the summer months. We feature our Student Showcase Buffet on Friday's for lunch. These buffets book fast, please call to reserve. 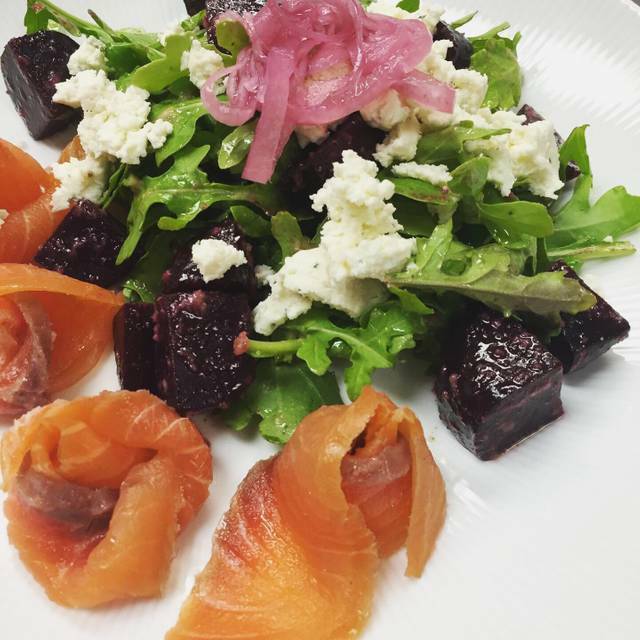 We do serve ala carte lunches during the week. Please note: for groups of 8 guests and larger, Ernest's does add an automatic service charge. For all banquets, special function and buffet reservations, a service charge will be added automatically. Ernest's Dining Room at NAIT has been aptly described as the "jewel in the crown" of Hokanson Centre for Culinary Arts in the School of Skilled Trades. Ernest's decor is described as "understated elegance". Tasteful compliments of cherry wood and brass highlights, a beautiful rock feature wall, muted lighting and attention to detail provide the room with a distinct corporate ambience. Critically acclaimed and numerous accolades identify the "haute cuisine" prepared by second year Culinary Arts diploma students as "outstanding". 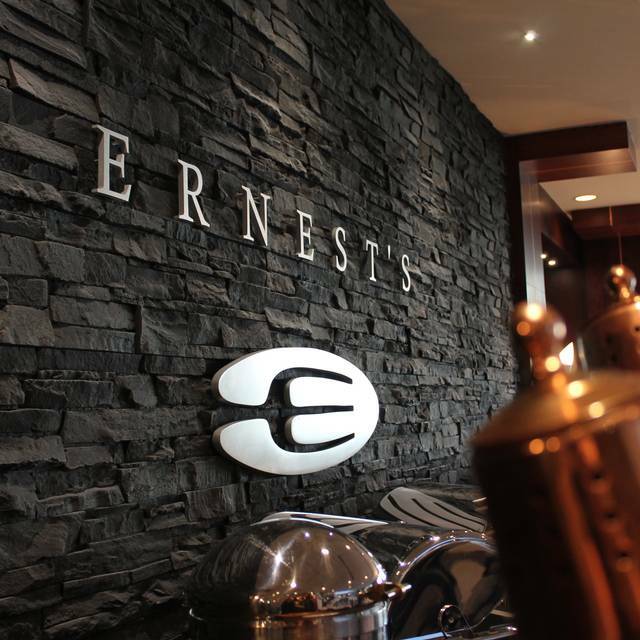 OpenTable diners voted Ernest's top 100 in Canada for two consecutive years. Seasoned chef instructors emphasize the importance of using high quality local regional products. 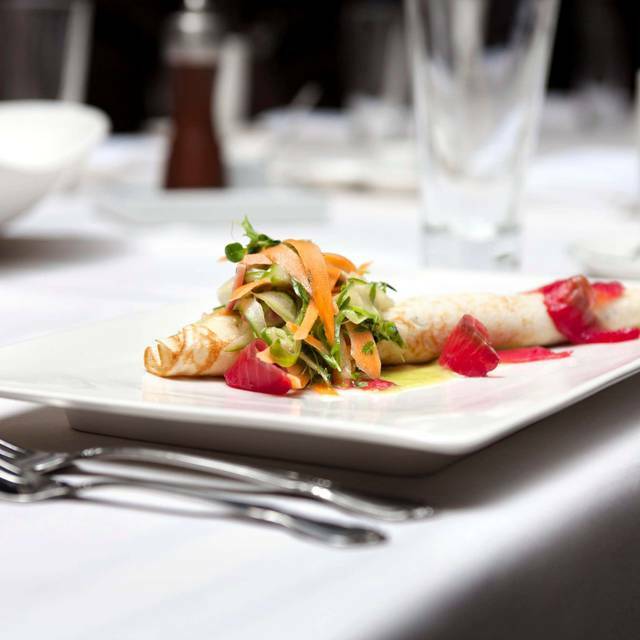 Mastery of traditional cookery combined with contemporary artistry has resulted in a truly electric cuisine. 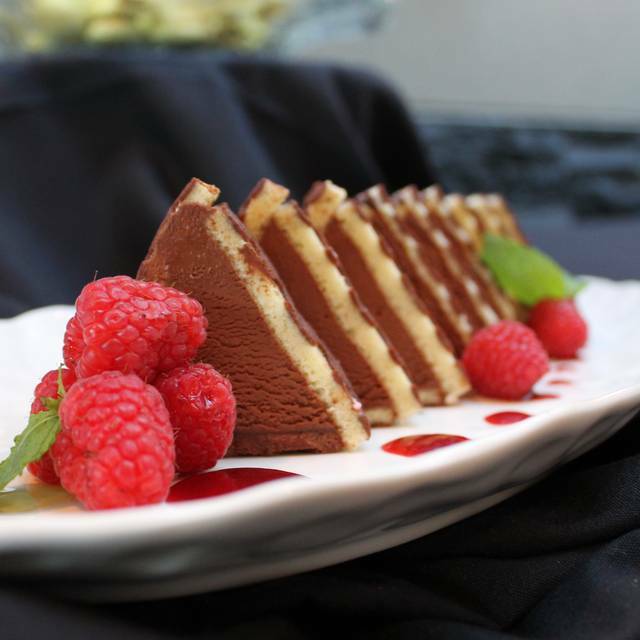 Elegant service is provided by eager Culinary and Hospitality students. An emphasis on etiquette and authenticity is encouraged through the guidance of professional mentors. There was so much food to choose from the desserts especially were amazing. Excellent restaurant, quality of food and service. Best value in town. We love this restaurant, this is our fourth time coming to Ernest and we are booked for the buffet on 26 Apr. This is our first time trying it and we are very much looking forward to it. We love the concept of student getting the full experience of running the kitchen and dining room. It gives them a real time exposure and feed back from other than teacher or peer. Really great place to meet and discuss business. Food is consistently fantastic. Excellent meal, attentive staff, and will definitely return and recommend it to others. The beef carpaccio was excellent. Indid not enjoy the Paella. Salmon was too salty and rice was dry. Enjoyed the between course features. Service was impeccable and not intrusive. The food did not disappoint any of the diners. Overall a very pleasant evening. I had the pleasure of enjoying a meal at Ernest's with my parents and significant other. 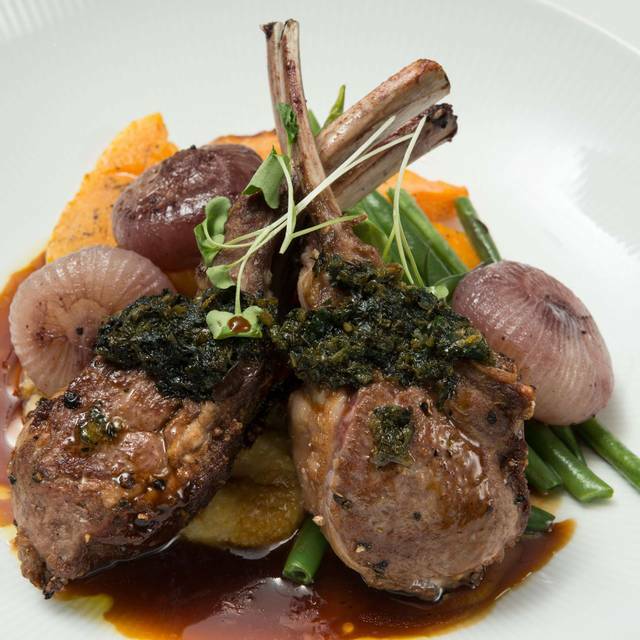 I had looked at the menu prior to going and was pleasantly surprised to see Lamb on the menu. All day I was looking forward to enjoying a meal of Lamb. Unfortunately, there was a last minute change to the menu and there was no lamb to be found. I was slightly disappointed by this. I chose another meal to enjoy but my heart wasn't in it. I look forward to the next time we have a chance to try out another menu as I will still make an appearance at Ernest's in the future. Wonderful experience! Very lucky to have this in Edmonton. Thanks very much! Great! Very enjoyable! Just wished I had tried the double ginger cookies a little earlier and had asked for the possibility of a recipe. They were OUTSTANDING. We enjoyed every course of our meal. The Icelandic red fish entree was especially delicious. Excellent food and service! Great value! I love hearing the culinary students describe their creations. Different menu each time, outstanding variety. Something for every palate/food preference. Over the years I’ve brought/referred dozens of people. First time there. Everything was excellent! We will definitely go back. Had a wonderful date night with my partner. Food, atmosphere, were excellent. High end restaurant value with lower price. This NAIT alumni will be dropping by again....soon. There were four of us at Ernest's Friday buffet. We all enjoyed the appetizers and dessert the best. The hot food was also good. Service was very good too. Make sure you reserve the free parking early as we were too late and had to pay for parking. The starters were excellent and so was the dessert. The main course.... Veal was tough and the food was lukewarm. Our group chose "Table d'Hote" for the evening. Prompt seating, lovely and unique "amuse- bouche", salad was good. I was thinking main course looked on the small side (beef tenderloin), but I was wrong - I was certainly full at the end of the evening. I remark on the great pairing of wine samples to courses - about three ounces wine per course. The only criticism was dessert - three samples, and two of three on this night were overbaked. Pity, but otherwise was a very pleasant experience. I liked how the student chefs came out from the kitchen to obtain each table's opinion and feedback. I will return. One of the best dinners in a while. Brought my wife here for her birthday and it was great. Quick service, decent prices and large portions. Will be back again soon. Once again, the whole evening was delightful. The meal was delicious and the wine pairing was a nice option. Excellent service - our server went out of his way to make sure that we were satisfied with each course. And, as always, the food was delicious and beautifully presented. This was an amazing experience. The food was beautiful and delicious. The service was outstanding. Excellent service and even better food. NAIT's Friday buffet is without doubt the best in the city. A Culinary Experience - excellent food and service from the students at NAIT. The charcuterie and dessert lines were diverse and interesting; entrees were a little less so. One suggestion for both diners and the Ernest's website: inform diners that there are two sittings at 11:00 and 12:30. The 12:30 sitting is less rushed. While we were advised in advance that our 11:00 table would be required at 12:30, all four diners agreed that with the food choices available, a more leisurely dining experience would have been preferred. Knowing about the time limit created a feeling of pressure. Enjoyed our meal and the service was awesome. The reason I gave the 'value' a 4 rating was because I felt my appetizer was over priced for 2 pieces of scallops. Maybe I should have checked with the waiter before ordering as I most likely would have made a different choice. Food and service was excellent. Took my wife for her birthday. My kids enjoyed the food as well. Excellent as usual, tables/chairs could use an update. Food was a little cold for a few of the guests. I was pleasantly surprised. It was the first time I tried out Ernest. I knew NAIT had a restaurant but wasn't aware it was fine dining. Excellent Menu, excellent taste and texture of the dishes, creative, excellent service experience. Will definitely go again. The only thing was waiters must not rub their nose. Then not wash hands before serving clients. We were sitting near service area and kitchen doors. The staff was being a bit rambunctious. The food, the presentation was above board. Thank you for another wonderful experience. Overall, I enjoyed the experience and the ambience of the restaurant. The palette cleansers were refreshing and unique. We had the beef teand it was cooked to perfection. There were alot of sour and sweet flavours in the dish however, I wish there were more salty and rich flavours incorporated. While the dishes and experience was great, the service could have been improved. We were seated near the entrance to the kitchen and the servers were not aware of their volume levels and content of their conversations. I would hope that if the restaurant requests customers to dress business casual, there would be a level of professionalism expected from the servers. Great food and service was fantastic will definitely return. My spouse and I had a wonderful Valentine dîner at Ernest’s at NAIT. Menu changes are regularly made. Staff are happy to be there too! Nice exploratory experience. Fun to try some different things. Excellent food. Great service. I enjoyed the staff coming to the table to ask for our feedback.